« Psychics And Mediums: What’s the Difference? The best way to answer this question is to understand that there are three types of individuals that go to psychics. The first type of individual goes to a psychic because they have insecurity about the future. This is certainly a valid reason to get a psychic reading, and those of us who are career psychics are certainly here to help these individuals. This type of individual finds inspiration and security in knowing what the future holds, but are often out of touch with their own intuitive gifts. When I do a reading for this type of individual I find it quite intriguing how often Spirit will tell this individual that it is important for his or her life journey to learn to trust the “inner voice”, because it is through that inner voice of intuition and inspiration that we can find inner peace. The second type of individual that gets psychic readings does so for the purpose of entertainment. This is certainly a valid reason for seeking a reading. I find that often time this type of individual is in touch with their own intuitive ability, even though they may not recognize or label this ability as such. They are often in a more peaceful state of mind when they get a reading, and the flavor of the reading tends to be quite inspirational – confirming things that they are already aware of, and then adding to their confidence. The third type of individual that I read for is already in tune with their own intuitive abilities. These are often the easiest clients to read for, and they come into a session for the purpose of gaining confirmation of things that they are already feeling or sensing. Many professional psychics request readings from time to time from their colleagues. These readings are typically related to their own personal lives as a form of confirmation related to their evolutionary path. The career psychic can bring value to all three types of clients, and most good psychics will tell you that there are two purposes for psychic readings. One is to get your clients into a state of psychic awareness, and two to give them insight about future events to prepare them for the process for which their soul is about to undertake. Another question that may have crossed your mind is that if all are psychic, why would there be professional or career psychics? Everyone has a unique life path that is a part of his or her evolutionary journey on this planet. 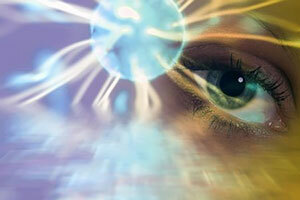 Professional psychics are individuals who primarily come from a highly spiritual background. They are among the “spiritual seekers” or mystics of the modern day. Their path and goal in life is awakening and healing for individuals and the planet. Our bodies have five senses: touch, smell, taste, sight, hearing. But not to be overlooked are the senses of our souls: intuition, peace, foresight, trust, empathy. The differences between people lie in their use of these senses ~ C. JoyBell C.
Even though this defines many evolutionary goals for individuals, not everyone has this goal as his or her primary interest. Each individual’s career path has value and in whatever capacity they serve this world they bring value to others. I do not see the psychic career path as any more spiritual as the career path for a Chief Executive Officer (CEO) of a major corporation, or the clerk at a gas station. My mentor once told me that whether you are serving as a minister or cleaning the toilets, if you are serving in the will of God you are exactly where you belong. So, how can you increase your psychic ability? The primary thing is listening to your inner voice. It is my experience that the voice of intuition brings peace. There is a verse in the Bible that says, “The fruit of the Spirit is love, joy, peace, patience, kindness, gentleness, goodness, and self control.” I go back to this passage often, because it aids me in understanding what the voice of intuition sounds like. These qualities related to the voice of what I call the Holy Spirit that make certain practices ideal for developing this inner voice. The two primary practices that I believe help everyone are prayer and meditation. Prayer is a way to align oneself with the will of God, by recognizing innate desires and then petitioning the Higher Power or Source to fulfill those desires. The second practice is even more important that the first. Meditation allows an individual to find that place of serenity within. By accessing this inner reality one can become more and more familiar with the voice of peace, and increase intuitive ability.